Red River Harley-Davidson has always prided ourselves on great customer service and once again we have been recognized by the motor company for our efforts! 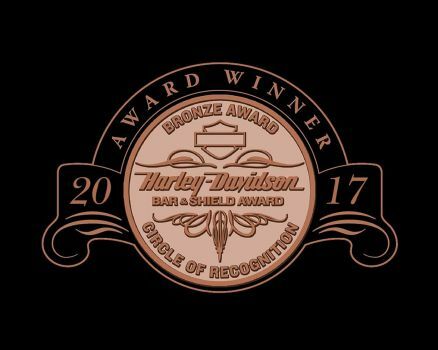 Red River H-D has earned the prestigious Bronze Bar & Shield Circle of Recognition Award for 2017. Presented by Harley-Davidson Motor Company, this award is given to dealers based on motorcycle and related product sales performance, customer service and satisfaction, and operational measures. Bronze Bar & Shield award recipients, like Red River Harley-Davidson, consistently elevate the brand by providing their customers with exceptional and authentic Harley-Davidson experiences. 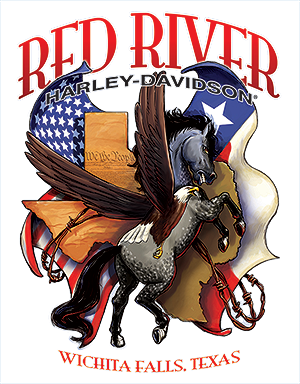 Red River Harley-Davidson, established in 1985, has been awarded the Gold Recognition twice prior to 2018 and have been awarded the Bronze & Silver Recognitions multiple times over the past 33 years. Our goal since we opened our doors back in 1985 started with family inspired customer service and providing an atmosphere for fun loving Harley enthusiast! Because that is what we are! A family of fun-loving Harley enthusiast! We could not be prouder to be recognized yet another year for carrying on those same ideals over 33 years later. Thank you all for supporting Red River H-D over the years. We sincerely appreciate it and look forward to the next 33!